Found these in a pack of Costco black grapes imported from Brazil. They were inside a web attached to the grape stem. Any ideas? 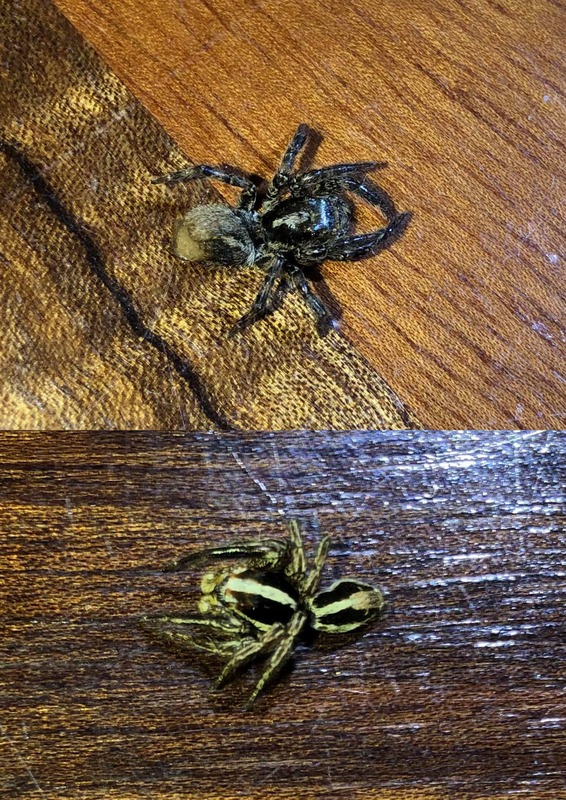 Unsure of the genus, but these are jumping spiders- completely harmless spiders. Itbmight be Plexippus paykulli. as Trahearne said, it is a jumping spider. A produce department manager at a supermarket told me that people are finding more spiders on produce because more countries are decreasing the use of pesticides on produce crops to meet demand for organic food. So the bonus spider is a good thing!